From your first contact you will be dealing directly with the owners of the company. If you have any questions or issues you can pick up the phone and call us. Our professional crews show up on time and will treat your home with respect as if it was our own home. We guarantee your satisfaction. There are many unlicensed contractors out there. If you use an unlicensed contractor you are assuming all of their liabilities. If a worker gets hurt on your job, you are responsible. Stone Creations is fully licensed, bonded and insured. You have peace of mind knowing you are protected with us. 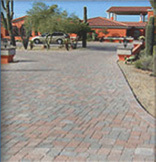 Each year we are recognized within our Industry for our quality paver installations. In 2010 alone, we won 6 I.C.P.I. 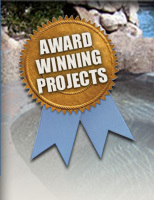 Arizona Chapter Hardscape Awards and we won a national award from Hardscapes North America. We work with you to create a unique installation for your home and we have the expertise to bring your dreams to reality. We are a member of the I.C.P.I. both nationally and the Arizona Chapter. We follow their guidelines but we install to higher standards than are set by our industry. We do things other companies won’t do. None of our crews are paid by how many square feet they install – quality is what we guarantee. Chris and John have been in the paver industry a long time. We know what we are doing and we are so sure of ourselves that we will give you a 10 year guarantee on our work. Stone Creations has been in business since 2000 and we know we can back our guarantee. We do what we say we are going to do and we do it well.